Volcanoes are perhaps the supreme example of Nature’s power and I’m not alone in being utterly fascinated by them. 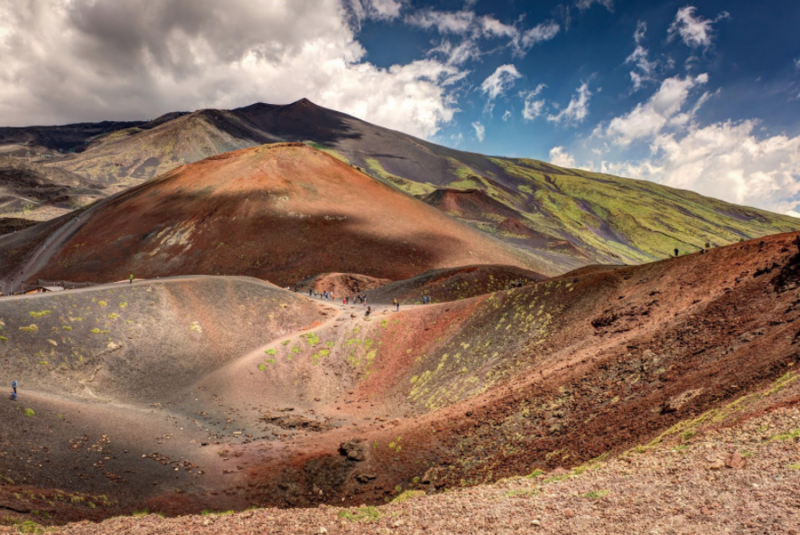 Mount Etna is one of the most recognisable and most famous active volcanoes on the planet and it’s one that I’ve wanted to visit for as long as I can remember. 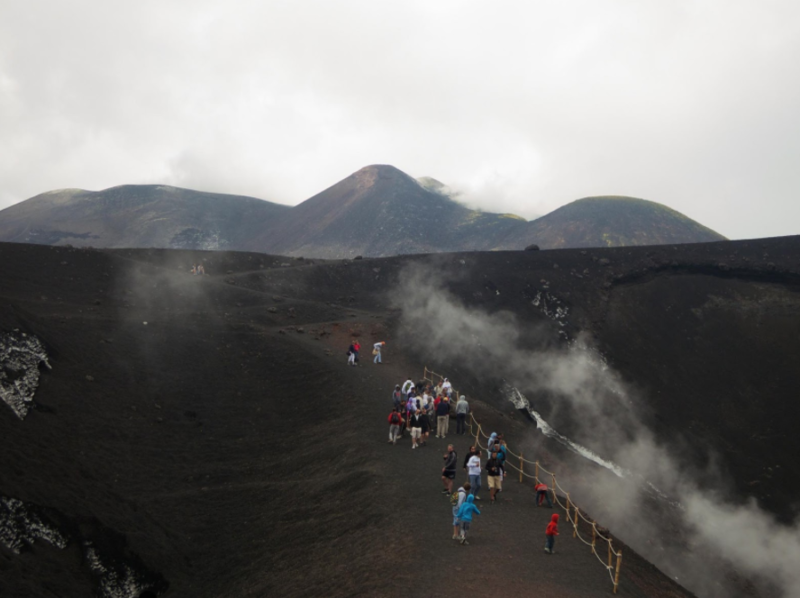 Unfortunately, a lot of other people feel this way too and Etna’s easy accessibility means that enjoying it away from the crowds is a pretty hard trick to pull off. 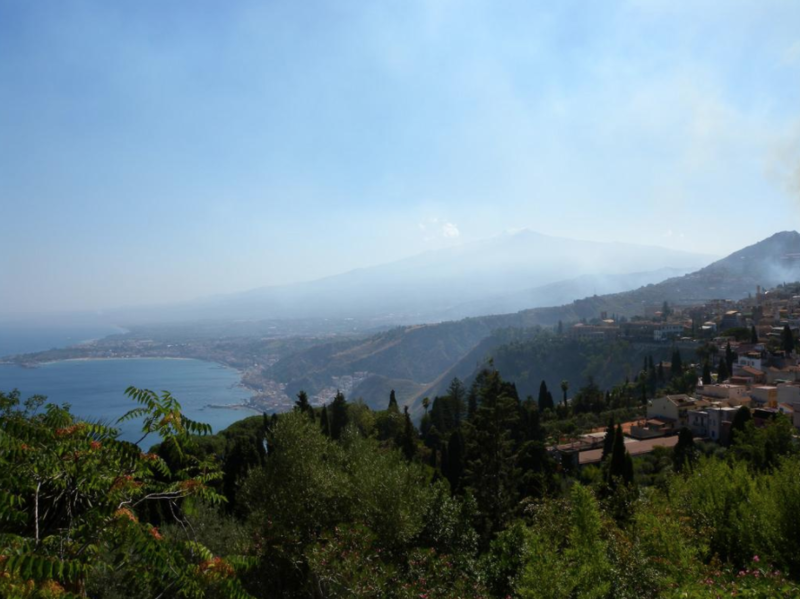 Etna dominates the island of Sicily, its ash is the reason the island’s grapes are so good; it’s the legendary home of the Cyclops and it erupts regularly. These regular eruptions actually make it a comparatively safe volcano to visit, there’s no build up and consequently no big explosions although when Etna does go off, as it did in May 2016, it’s a pretty spectacular firework display. I was anxious that it might kick off while I was there and I wouldn’t be able to hike but when it didn’t, I was also a little disappointed. 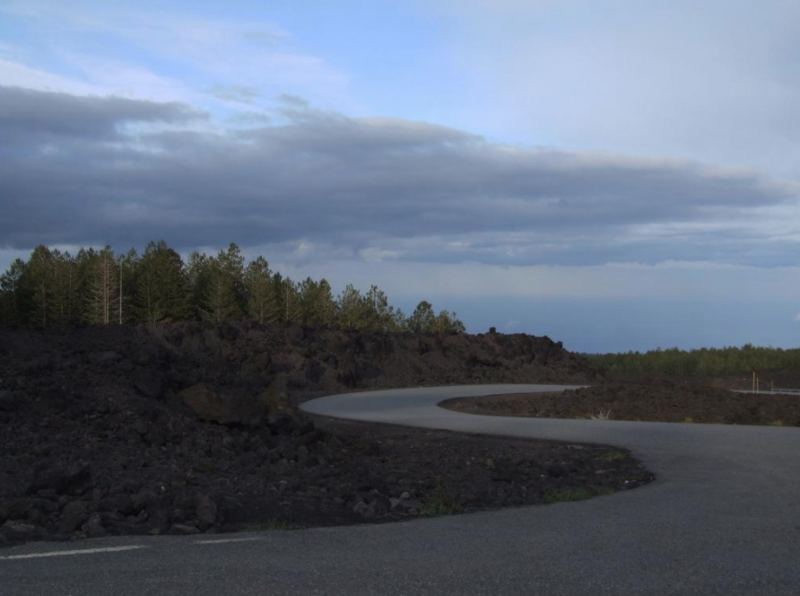 As I’ve said, Etna is a very popular tourist destination and for me, if people – however amazing the experience – surround me it’s not quite the same. I chose to do the hike in September, which is a shoulder season but which is still disappointingly busy. You can visit all year round, so in retrospect I wish I’d chosen the snowy winter months when it’s still possible to enjoy a solitary experience. I was staying in the nearby stunning hilltop town of Taormina, where you can enjoy Roman ruins and stay in traditional hilltop houses. There’s no direct bus service from Taormina to Rifugio Sapienza, which is the starting point for cable cars and hiking on the south side of the volcano, so I hired a car. And here’s a lesson in why it pays to do your homework. I planned to get to Rifugio Sapienza by eight thirty, ahead of the crowds; what I hadn’t reckoned on was the thousand hairpin bends, which makes the drive take so much longer than seems possible. So, by the time I got there, so had everybody else. 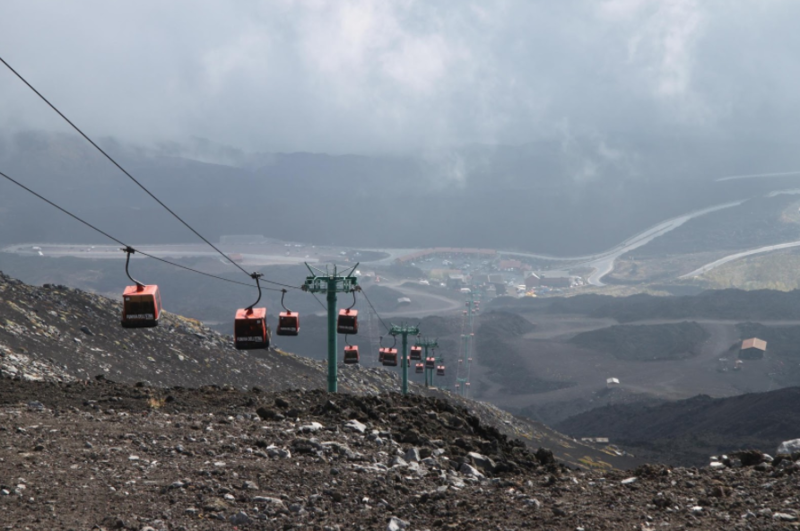 I had planned to hike the whole way but I figured even more people might arrive at the summit before me so I took the cable car (30 Euro) to the top station at 2504m. At this point you can take a bus but I hadn’t come for a bus ride so I hiked the two-hour stretch to Mount Supino Frumento at 3000m and that was as far as I could go. To reach the summit at 3300m you need a guide but because of previous volcanic activity, no one was going any higher that day. Was it worth it? Of course it was. Despite the tacky tourist shops and queues, nothing can really detract from the grandeur of the lunar landscape, the smell of sulphur and the views that stretch away to ash fields, vineyards and rolling hills. 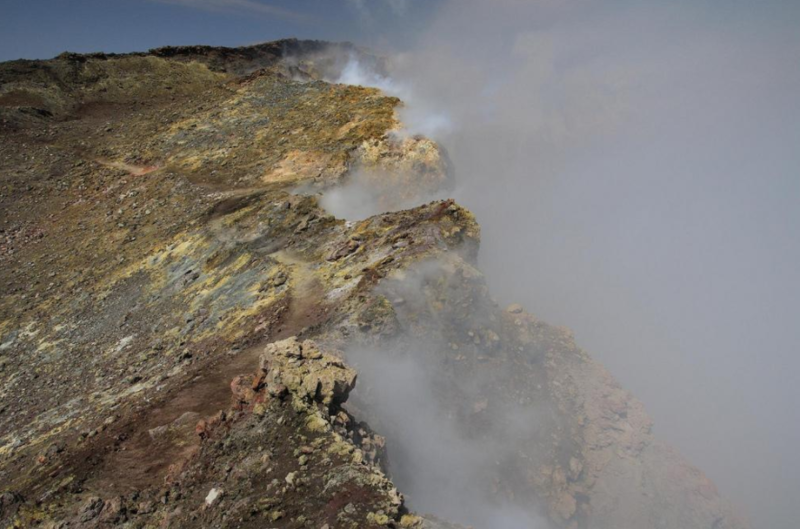 If you are just visiting Sicily for the Etna experience, then fly to Catania from where you can get public transport to the volcano. Whatever time of year, it’s cold at the top so wear layers and be aware that if it’s windy the gritty ash can be very unpleasant, so bring something to cover your face and wear sunglasses. Unless you are going for a winter hike it’s impossible to avoid the crowds so opting for an organised tour to suit your needs might be the best way to minimise waiting around.